Let’s not forget the worst mouse plague faced by Australia in 1993 which resulted in a damage worth of $96 million. Soon after that, another rat plague in 2010 damaged three million hectare f crops in various parts of Australia. Rodents have time and again infested human societies and resulted in heavy losses. Thus, it is important to understand how rodents can prove to be a danger to our society and how you can deal with them. Let us know with the assistance you are seeking, and the right person will back to you shortly. Rodents are extremely destructive and can cause serious safety risks. Further, rats end up starting the fire by chewing the electric cables. So, if next time you hear that a fire broke out without any reason, think of rats. Moreover, rats eeat tons of food and then contaminate more with feces, hair, and urine. Mice and rats contaminate more than 20% of food across the world. They damage everything from books, structures, furniture and even electrical appliances through burrowing and gnawing. The worst part is that they are also responsible for spreading the disease to animals and humans through the bites and by transporting lice, fleas, ticks, and mites and also by leaving the food droppings everywhere. Additionally, rats are vectors for rat-bite fever, bubonic plague, hantavirus, infectious jaundice, leptospirosis, trichinosis, salmonellosis, typhus and pulmonary fever. As a burrowing animal, rodents inflict major damage to equipment, structures, utilities, furniture, and vehicles. Rats are found almost everywhere from homes, restaurants, supermarkets, farm fields, and livestock pens. 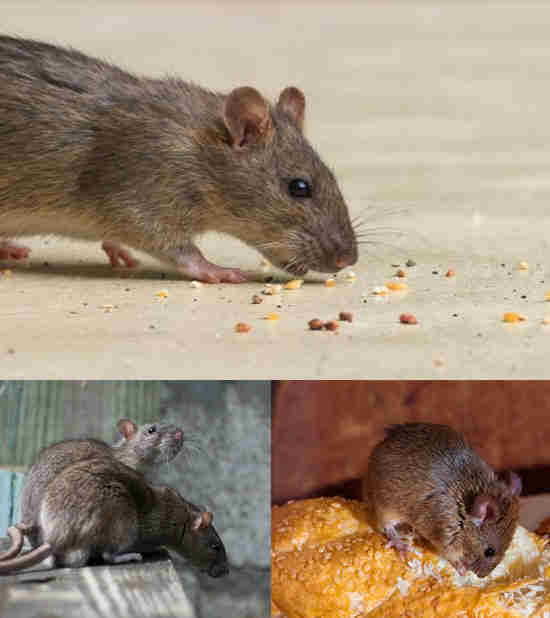 The grain mills, corn cribs, silos, and warehouses are vulnerable to the rat infestation. They are usually active during night time when there are comparatively fewer people. Mice and rats can move through small crevices that make them easy to move around everywhere. Rodents are very difficult to control for all the house owners and can be termed as a community problem for everyone. It’s really important to ensure the effective control of rodents through community work. Have Queries? Contact Our Customer Care Team Today! Call us now on our toll-free number or reach us online. The first and foremost clue for any serious rodent infestation is the sight of dropping on your kitchen drawers, counters, and the cabinet area. The droppings are smooth with pointy ends and are almost of 4 mm long. They are of pellet shape and blunt at both the ends and of shiny black color. Dropping are often scattered randomly but close to runways, shelter or feeding areas. The possible tracks for rodents are observed in dust, mud or dirt. At times, rat tails can leave the mark around the area. Mouse tracks are also easily traceable on the dusty surfaces. You can test for rodent tracks by simply dusting the area with the coating of chalk dust or talcum powder. Wait for a day and test by shining flashlight on the area. If you see small tracks that mean rat was there. Rats follow the similar route every day while making rounds for food every night. While doing so, rats leave 50mm wide traces of runways in grass or dirt, mostly next to fences or buildings. Rats keep chewing down everything they come across with incisor teeth. If you see holes in ceilings, walls, trails in subfloors, under or behind cupboards, bathtubs, counters, etc., it means rats were there. Burrows are found all along the walls, ditches, fences and rubbish and under buildings, woodpiles, low vegetation or concrete slabs. Under the black light, the urine stains are easily traceable. Rat’s oily skin fur leaves the grease marks that repeatedly comes in contact with holes and walls. Rat nests can be easily found in the roof voids, utility closets, basements, and garages. They are made of shredded papers, clotheslined by finely shred material. The nests look like loose woven ball of 10-15 cm in total diameter. Though rats are not visible in the darkness, you can easily make out the presence of rodents through the sounds they make after it gets dark. In a badly ventilated room, you can easily smell the rat urine or the musky odor. Rats leave behind half-eaten food. Though they have the tendency to eat almost all the food at times, they can leave the telltale signs of inedibles and shells. Rodents are nocturnal but in an area with high rat populations, some of the low ranked ones will hunt out during the daytime. Probably, because they are unable to get hold of food during the night. So, if you catch the glimpse of rats in the daytime, it’s a positive sign of substantial infestation. The perfect way to control the population of rats is by keeping them out of the premises at first place. Since rats like to hide in the garden, the first defense mechanism should be to trim the area of vegetation close to your building. Dispose of off all the unwanted trimmings, plan clippings etc. to make it difficult for rodents. Check the perimeter of your building annually to ensure no gaps at the entry. Sealing all those entry points is important and perfect for efficient rat control. Pay attention to wiring, cables, pipes, windows, and doors. Close all these opening using wire mesh, sheet metal and pieces of tin. Water Puddle will give them water to drink so, make sure all the leaks are fixed and ground depressions are also filled in. Using traps after all the necessary steps can help you keep away from the rodent infestation. You should dispose the traps can be disposed at a far off place from your premises. Lastly, if you have still been unsuccessful in rodent control Melbourne, it’s time for some professional help. 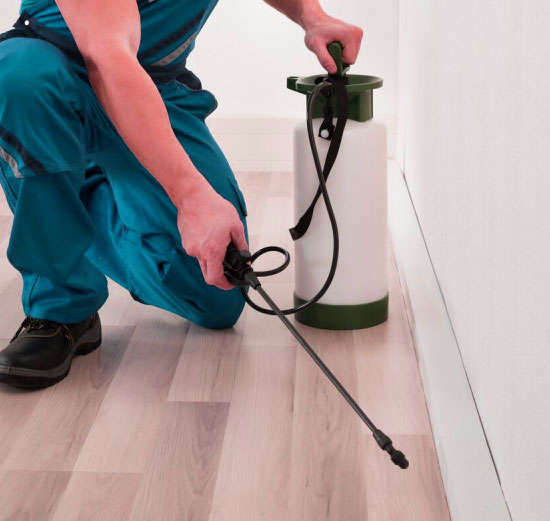 Mark Pest Control offers guaranteed solution against the rodent control Melbourne with the help of its certified pest control team members. Pass on the hassle of spending time and effort in controlling the rats and let the professional take care of all in no time. Call today for the free quote queries.